With a bit of a cloudy weather and a splash of a light rain we left our gorgeous Charterhouse campus at 8.30am this morning. A fabulous day was awaiting for us! 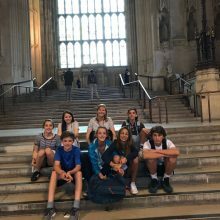 We were extremely excited about our second trip to London. 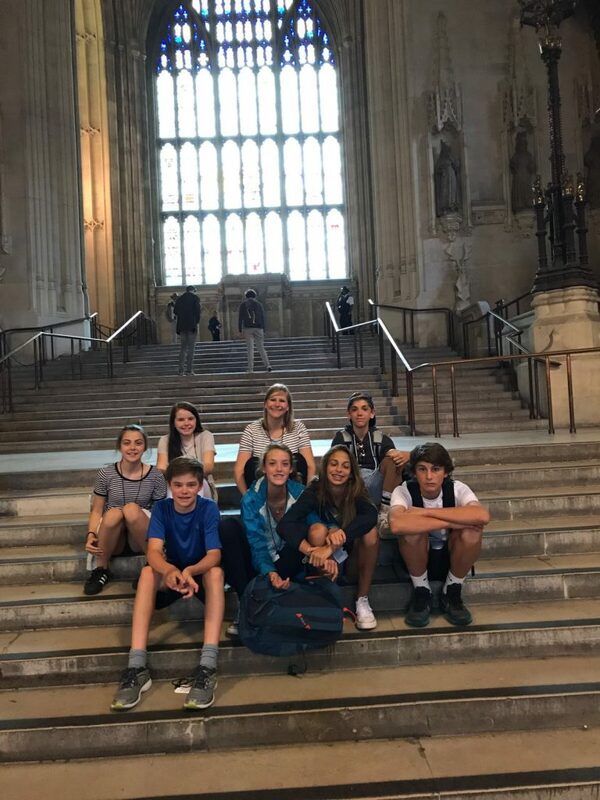 Our first stop was the Palace of Westminster more commonly known as the Houses of Parliament. 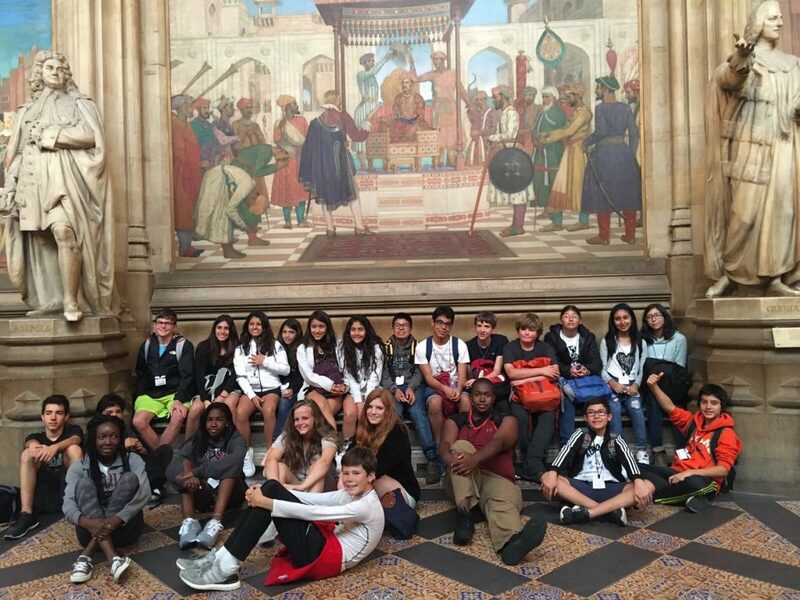 Our students learned about the early history of the Palace of Westminster, the Gunpowder plot in 1605, the fire in 1834 that destroyed the Palace except for the Westminster Hall, the names of the three Towers; Victoria (98.5 metres), Elizabeth (96 metres) and octagonal Central Tower, the 3 stages of Parliament, the Houses of Commons with 650 MPs, the Houses of Lords where the Queen gives her speech on the State Opening every May, the Voting lobby, etc. Oh what a great day!! After our informative trip to Westminster we traveled to our second stop, Covent Garden. Covent Garden used to be owned by the Benedictine monks of Westminster Abbey in the 13th century. In 1540, Henry VIII took over the land and gave it to the Duke of Bedford. Over the centuries this area was redeveloped. In 1654 street vendors started using this area as a fruit and vegetable market. This market was relocated and the central building was reopened as a shopping space in 1980 with cafes, pubs and shops. 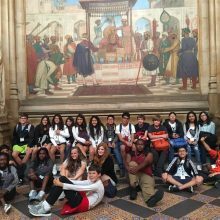 Our students had an opportunity to explore and observe this historic location. They were completely in awe of the performers that share their talents with the crowds at Covent Garden. After leaving, the students and faculty all felt as if this was a day full of learning and excitement.Students are getting some well-deserved rest and they are excited about our second on campus sports day tomorrow! !